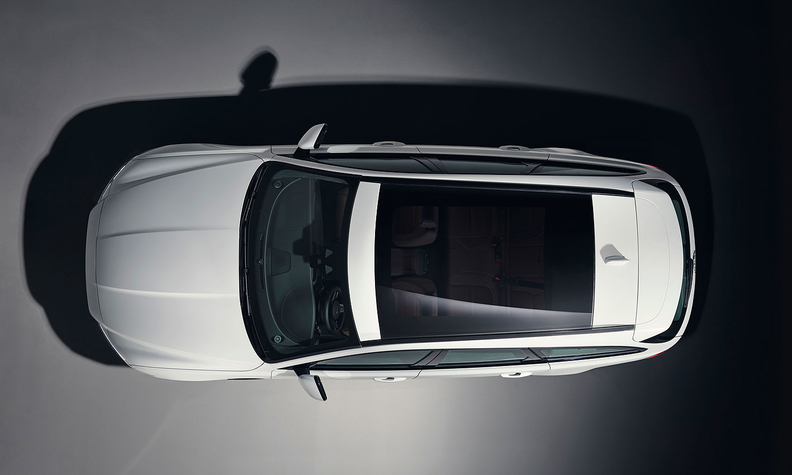 The XF Sportbrake has a large, sloping glass roof. Jaguar teased its new XF Sportbrake ahead of the wagon's launch in Europe in the summer. The British automaker showed a teaser shot of the car in the run-up to England’s Wimbledon tennis championships, where Jaguar is the official car partner of the tournament. The car, which joins the XF sedan in Jaguar's range, will offer practicality without sacrificing the dynamic design and agile handling of the sedan, Jaguar design director, Ian Callum, said in a statement on Wednesday. It also will join Jaguar's U.S. lineup this year. Wagon sales are low in the U.S. while in Europe the body style accounts for about half of the total premium midsize-car sales.